3 New Game Day Party Pleasers! Well, football season is in full swing and you know what that means — weekend watch parties with friends, family, and foes! We’re always looking for more delicious recipes to add to our game day playbook and we love when Passanante’s Home Food Service customers share their best kept secrets with us! 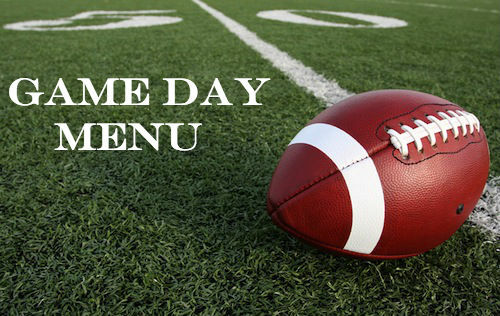 Throughout the 2013 football season we’ll be adding tons of great new appetizer and dinner recipes to our blog and our Facebook page so check in with us regularly and don’t miss out on your next new favorite food! Mix the bok choy (or cabbage), celery, and green onion. Combine soy sauce, sherry, and 1 teaspoon vegetable oil. Stir in the cornstarch and pour the mixture over pork – toss to coat. Cover and chill for 30 minutes. Cut the wonton wrappers into 4-inch circles with a cookie cutter. Spoon 2 teaspoons of the filling in the center of the round. Bring the sides up and seal the edges with water (keep the rest of the rounds covered with a dry cloth while you prepare them one by one.) Transfer the pot stickers to a baking sheet and cover with a dry cloth. In a large skillet heat 2 tablespoons of oil. Carefully place half of the pot stickers in the skillet; do not let them touch each other. Cook over medium heat for 1 minute or until the bottoms are browned. Gently add 1/2 cup water to the skillet and reduce the heat; cover and simmer for 10 minutes. Uncover and cook an additional 3-5 minutes or until the water evaporates. Transfer pot stickers to a baking sheet and allow them to sit in the oven on 250 to keep warm. Repeat with the other half of your pot stickers and serve with soy sauce! In a medium bowl combine cheddar cheese, cream cheese, and dip mix. Gradually stir in beer until the mixture reaches the desired consistency. Add green onions and stir. Garnish with extra green onions and cheddar cheese. Makes 3 cups. In a small skillet over medium heat, stir vegetable oil and green pepper until soft. Set aside. In a large bowl, combine artichoke hearts, mayonnaise, scallions, Parmesan, lemon juice, Worcestershire sauce and celery salt. Gently stir in crab meat. Transfer the mixture to buttered baking dish and sprinkle with almonds. Bake 25-30 minutes or until the top is golden brown and the mixture is bubbly. Serve with pita chips. This entry was posted in Pork, Recipes, Seafood, Sides & Salads and tagged appetizers, Artichoke and Crab Dip, Beer Cheese Dip, Passanante's Home Food Service, Pot Stickers, Recipe by Passanante's Home Food Service. Bookmark the permalink.